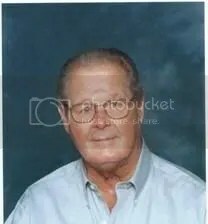 Julian Bennett Mathews, 77, of Palm Harbor, passed away on October 28, 2011. Julian is survived by his loving wife, Margie; children, Matt and Laure Mathews (New Port Richey), Mark and Lisa Mathews (Schaumburg, Illinois), and Mike and Candice Mathews (Clearwater); grandsons, Nicholas, Nathan, Luke, Zachary, and Jacob; Twin brother, Leroy (Jeanne) Mathews; sister, Anne Speer; and many loving nieces and nephews. Julian was an avid model train enthusiast, enjoyed playing “chicken-foot dominoes” with his friends, and was an active member of Bethel Lutheran Church. He will be missed. Good ol’ J.B.; that’s what we called him. The above text was copied verbatim from his obituary. You’ll note that it mentions his widow, Marge. They were a great, fun couple. Had a fabulous toy car collection, but mainly they were just great Christian people. In the annual galleries I mention a car here or there which I purchased from J.B. I also bought some from Marge those times when J.B. was unable to attend. Marge did post a thank-you for the In Memoriam page in the old site’s guestbook. However, she never returned to the meetings after he passed. Perhaps her grief was simply too much. Perhaps one of their children inherited the collection. Perhaps … any number of things. We lost both of them, really. Update: We were very surprised but very pleased to see Marge at our November 2015 meeting. No idea if she’ll continue to attend, but it was great to have her with us.